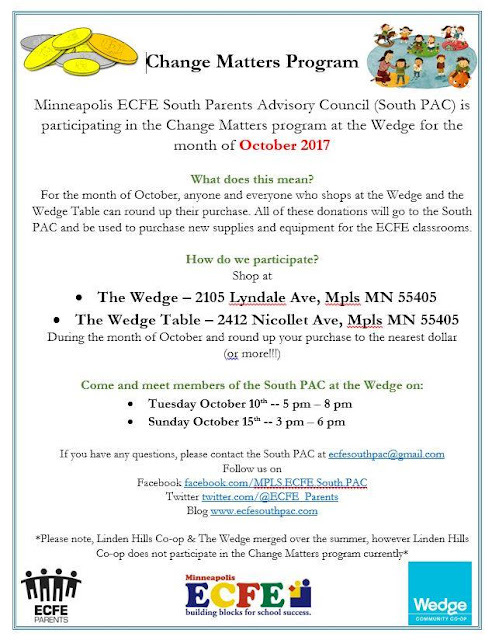 Minneapolis ECFE Parents Council: Our Change Matters Month at the Wedge Co-op! Our Change Matters Month at the Wedge Co-op! Change Matters is the Wedge Co-op's register round-up program, and the Wedge selected us to be their non-profit partner this month! Every time you make a purchase at the register you have the opportunity to round up your purchase to the next dollar. That money will then be directly donated to us!